APEX Club of Perth - Kids Are Kids! 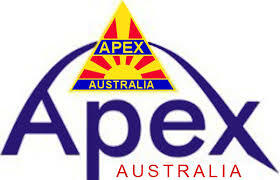 APEX Club of Perth have been supporting Kids Are Kids! for many years. With the financial support of APEX Club of Perth many Perth children have been able to access therapy through the Kids Are Kids! Therapy Scholarship Program. This program is made possible only with the support of individuals, businesses, organisations and foundations coming together to support children who otherwise would not be able to access therapy.